You can’t see the watch-type pendant and magnifying glass hanging from the chains at her waist. The blouse and vest were flea market finds, along with the buttons and broken necklace chains that adorn it. We made the skirt and petticoat, the hat and the woven ribbon bag. The hat is a cut down New Year’s Eve party top hat, plus feathers and other adornments. 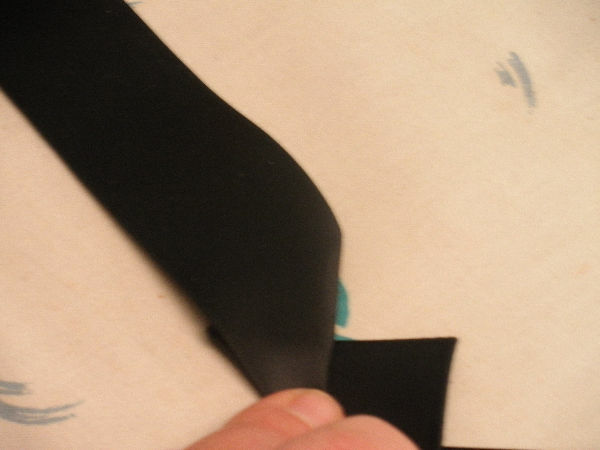 The belt is an 80s-era retread from my closet, and the gear necklace and earrings were holiday presents this year past. 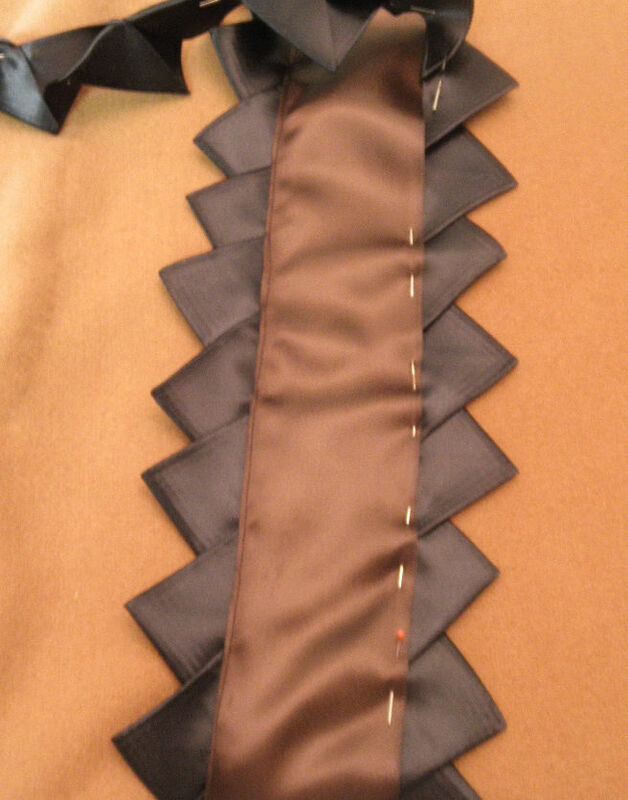 I don’t remember where I first read about doing the points – possibly in an ancient Threads magazine, before they abandoned fine handwork, possibly in a Victorian era ladies magazine or millinery guide. 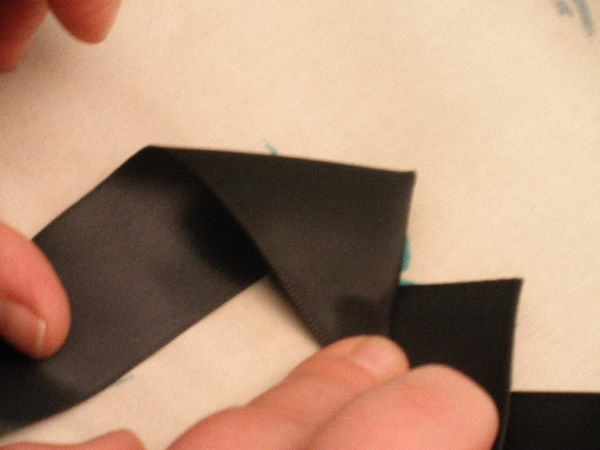 The ribbon folding isn’t quite ruching, since no gathers are stitched, and it isn’t pleating, because the folds are not perpendicular to the ribbon. 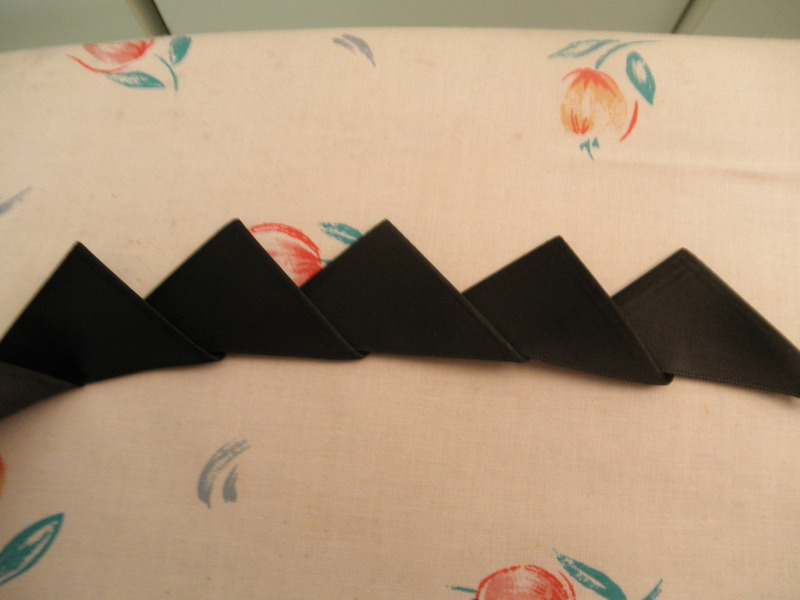 I used it once before, to make teeth on a dinosaur costume, when Elder Daughter was a toddler. 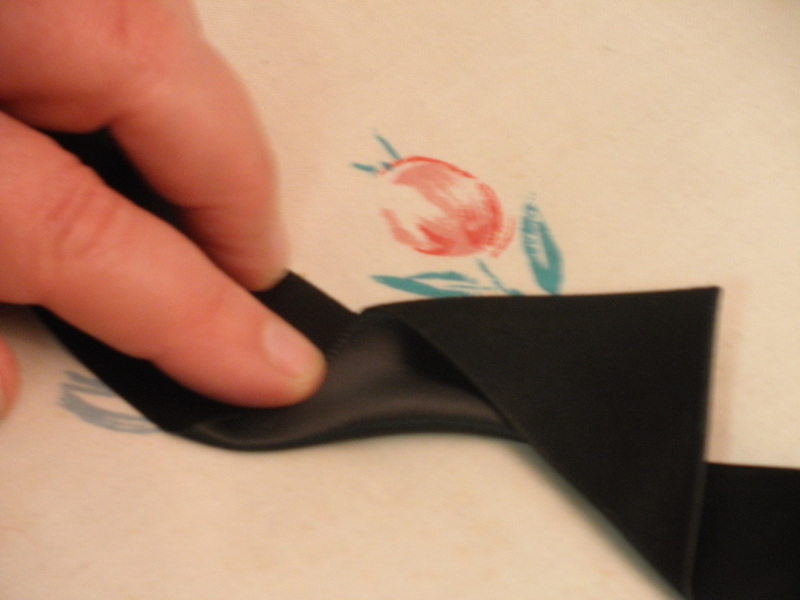 Fold a triangle, tucking the leading edge underneath. 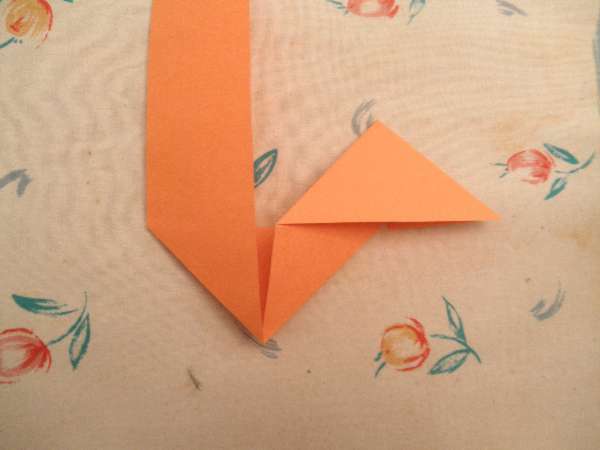 Then do an inverse triangle. 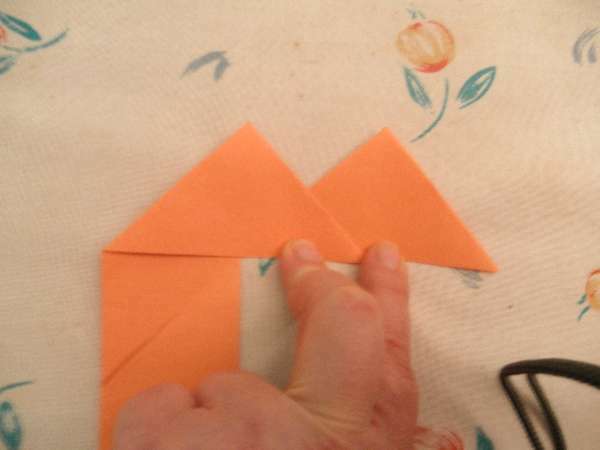 Finally, flip the inverse triangle up so that it lies on top of the completed one. 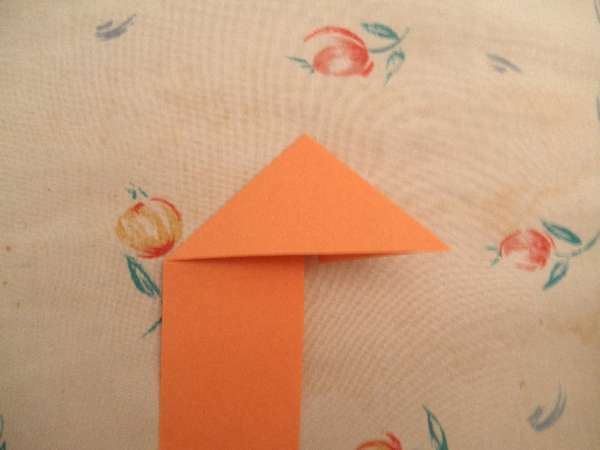 You can see that if you wanted to make rick-rack instead of a row of upward pointing triangles, that second fold step would be done so that the “good side” landed on top, and the third step would be omitted. 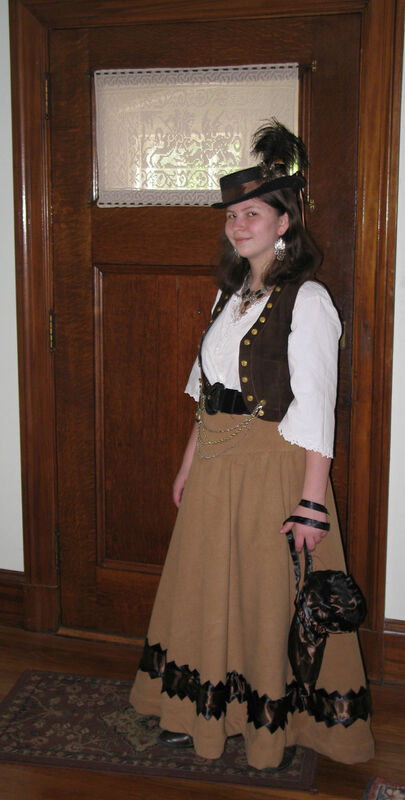 Younger daughter wore this to the Waltham Watch City Steampunk Festival, at the Charles River Museum of Industry and Innovation. After planning and accumulating the bits for the better part of the year, she was thrilled to do so, and had a great time.